Hans Pijls is a litigation lawyer in Dinsmore's Ann Arbor office. Hans focuses his insurance law practice on extra-contractual (bad faith) matters, property claims, liability insurance coverage matters, motor vehicle liability claims, directors and officers liability claims and insurance agent errors and omissions claims. He also has significant experience in the areas of intellectual property and international litigation. Insurance companies seek his counsel on drafting policy language for primary and excess/umbrella policies and endorsements along with regulatory and insolvency proceedings. 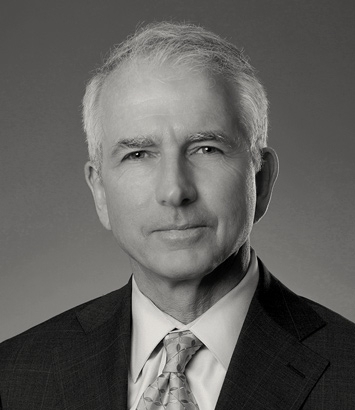 His transactional practice includes serving as general counsel to suppliers and intermediaries in the automotive and oil and gas industries. For the past 25 years, he has been an adjunct professor at Wayne State University Law School where he has been teaching Insurance Law and Conflicts of Law. Hans earned the Chartered Property and Casualty Underwriter (C.P.C.U.) in 1986, and the Chartered Financial Consultant (Ch.F.C.) and Fellow, Life Insurance Management Institute (F.L.M.I.) designations the following year. From 2000 to 2012, Hans served H.M. Queen Beatrix of the Netherlands as her Honorary Consul for Detroit and Eastern Michigan. His duties included: facilitation of trade and other business interests; promotion of scientific, social and cultural exchange activities; issuance of travel documents; protection of Dutch citizens (such as prisoners and stranded tourists); shipping and aviation matters; and any other affairs involving Dutch interests within his jurisdiction.